A sound business plan addresses those gaps and preserves the company mojo, allowing the company to move forward and grow successfully. Whether you are leading a corporation or building your small business, crafting a successful business strategy is bound to be one of your key objectives. But when executives are asked if their strategies will be successful, the results are impressive…in an unimpressive way. According to a 2011 Booz & Company Executive Survey, 53% of executives do not believe their company’s strategy will lead to success, 63% say they have too many conflicting priorities and 54% say their company’s way of creating value is not well understood by employees or customers. Your likelihood to achieve desired results is just as high as your likelihood to fail. Most of us are so busy dealing with daily business concerns that we don’t have the time to spend focused on implementing change…aka a new strategy. Getting the rest of the organization to buy into doing things differently is down right difficult to do. Most business leaders are faced with this reality and as a result, they fail to grow as much as they could. They fail to maximize profits. They fail to retain great talent in their organizations. They fail to lead the business or transition it to the next level. And over time, they lose interest in the process. Now, think about why this reality exists. Why do so many executives and small business owners spend their time crafting business strategies that fail to succeed? We talk a lot about Employee Engagement, alignment of objectives, taking the time to craft action plans and accountability coinciding with business strategy. Those are all crucial to success, yes. But there is something else that comes even before the strategy is crafted, and that is Leader Engagement, making the commitment to lead change. Are you committed to achieve something different compared to what is being achieved today? It sounds obvious; sometimes so obvious the question is followed by a shrug, laughter and an obligatory “of course!” Guess what, that is not enough commitment to take your business to the next level. Once you are committed to something, there is no going back. Sure, you still get interrupted, but you see interruptions as repetitive areas that need to be addressed. People will still resist change, but you will have the words and reasoning to convert them to supporters. Commitment is personal, and as the leader you must be personally committed to something before you even begin to craft your business strategy. Here are four steps you can take to define your personal commitment so you can successfully lead your organization to the next level. 1) Be honest about your personal goal. To spend more time with family & doing the things I love. To be able to sell the business in “X” years. To establish a legacy for my children to take over. To make enough money to support my lifestyle. To open doors for future career opportunities. To create a reputation as a visionary in my industry. These are just a few examples to start reflecting on what is important to you. You don’t need to call a management meeting to establish an answer to this question (I highly recommend you don’t! ), but you do need to be honest with yourself about your goal and then start envisioning your life once you achieve it. 2) Define what is preventing you from achieving your personal goal. I don’t have anyone who can do the work like me; mistakes will be made, opportunities lost. There is nothing to “sell” because the business lacks consistency. Our customer base is old and we don’t have time or resources to bring in new business. Financial objectives are too aggressive and my bonus suffers when they aren’t met. Company culture is to stay the course, resistant to investments & new ideas. Write down anything and everything that stands in your way. Once you’ve completed this list, re-order each point from biggest to smallest roadblock. 3) Focus on your #1 roadblock and shift your thinking to the Overall Business. How does this roadblock negatively impact business results? What causes it to continue? What are some alternatives actions that can be taken to overcome it? Who will these changes impact? How will these changes positively impact business results? Next go through the same questioning process for each of the roadblocks on your list. Once complete, note the changes that will achieve the greatest positive financial impact to the organization. 4) Commit to making these changes in your organization. Another term for these changes – “Strategic Objectives”. You are now ready to craft your business strategy around them. Whether you present these Strategic Objectives to your team to develop a strategy together, or craft a strategy to roll out on your own, this 4-step process will provide a direction you believe in, the words needed to ensure everyone is compelled to change, and the commitment required from their leader to succeed. Why focus on yourself before you focus on the business? Because just like employee engagement, as the leader, if you are not committed, chances are you will fail. Now, you may not be the best leader for your business. That’s a different question all together-Will your personal interests be in the best interest of the business? Time will tell, but it’s your job to lead. This approach will help you commit to leading effectively…by crafting a business strategy that you can implement successfully. Written by Lisa Woods, President Lisa Woods Consulting & Founder of ManagingAmericans.com – With more than 20 years experience successfully leading, managing and driving growth in the corporate world, today Lisa utilizes her expertise to help strengthen the infrastructure of small to mid size businesses, working directly with owners interested in taking their company to the next level. With a B.A. in Corporate Communication and an M.B.A., Lisa’s career spans from Global Marketing to General Management and has worked all over the world. Her publications include “4 Essential Skills for Leaders, Managers & High Potentials” © 2013, and “The Cross Functional Business: Beyond Teams” © 2015. There is nothing worse than an employee that drags down a team, but it happens all the time. Actually, there is something worse…a manager that does nothing about it. This is a common problem in the workplace, it affects moral, and although it may not be obvious in short-term results, long-term negative impact is real. So what can you do about it? Well, you don’t want to “pick” on your employee, especially if they are a top performer; you want them to continue performing without an emotional complex. And let’s face it, people don’t always know they are difficult to work with and a crushed ego can hurt performance. There is another way to improve individual attitudes, rid the team of difficult personalities and boost teamwork. How?…focus on the team as a whole, and the personality you want your entire team to exhibit throughout the organization. Individual actively supports projects and timelines managed by other team members. Individual shares information and gets actionable buy-in from their own staff to ensure company goals are achieved. Individual is accessible to others throughout the organization and acts in a way the represents a culture of inclusion and teamwork at all levels. Say you have a performance rating system that averages out between a 1-5 points. If an employee achieves a 4, but is not proving to meet teamwork standards, then the overall rating is decreased by some predetermined amount (by 1 or .5 for example). 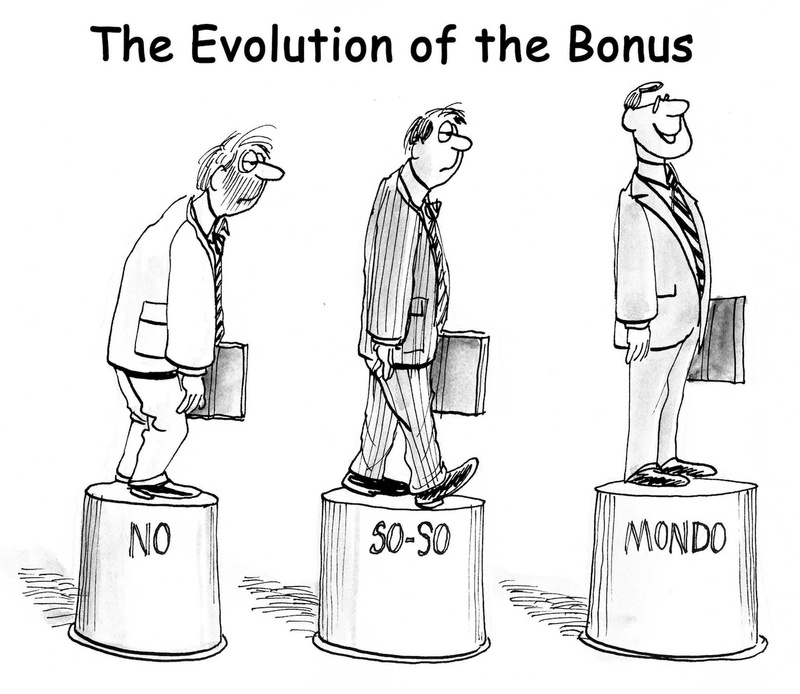 If they do live up to the standards you set, then they will receive the full bonus they achieved. The fact that an employee’s total result is impacted by the way they are perceived on the team and within the organization is what makes this process so effective. It’s a great management tool…as long as you follow through. Participated in another team member’s project x by offering y & z enabling them to meet a timeline that otherwise would have been difficult to achieve. Initiated weekly walk-arounds to other departments to understand how to improve communication or service levels between the groups and implemented x y and z as a result. Established monthly reviews with my own team to review goals and teamwork initiatives that are aligned with the overall organization. You can create some format for individuals to document these examples, send a positive acknowledgement email to the team whenever someone exhibits these behaviors, or incorporate a quarterly reminder into team meetings so that it remains on the minds of individuals throughout the year. Bottom line is that there should be no surprises come bonus time…this is real, documented and part of the bonus calculation. Sure you may have some employees that balk at the program, but if you keep it positive, then it will be a positive experience for everyone…and the business. 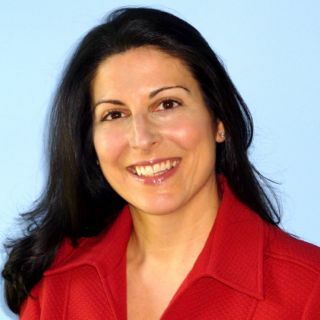 Lisa is a dynamic business leader & author located in Western New York with more than 20 years experience leading, managing and driving growth in the corporate world. Today she partners with business leaders to understand their vision, identify internal and external roadblocks, define a practical strategic path forward and guide a successful transformation. This work includes strategy definition & goal setting, organizational design, facilitating team buy-in, establishing visual metrics, internal and external research studies, business feasibility assessments, and investor insight into organizational strength, weakness & strategic opportunity. She helps business leaders drive growth & increase profits. When you manage results, you manage the past. In fact, leaders that focus on money are more likely to make decisions that damage their business rather than grow it. Strategic Leadership-How Strategic Are You?